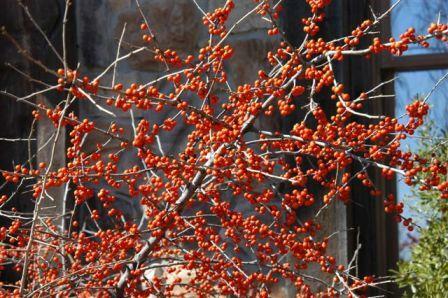 HABIT: Bushy growth if not trimmed, small leaves, red berries on bare branches all winter long—on female plants only. CULTURE: Easy to grow in most soils, drought tolerant but tolerant of moist soils. 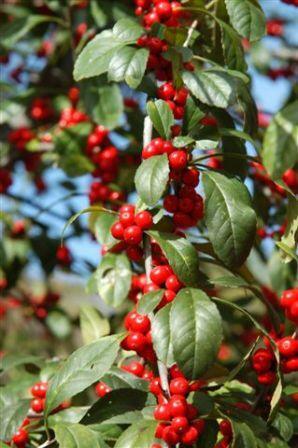 NOTES: Best to purchase when the berries can be seen on the plant. The male is not worth much unless used for the contrast. Native to southeastern USA to Texas.